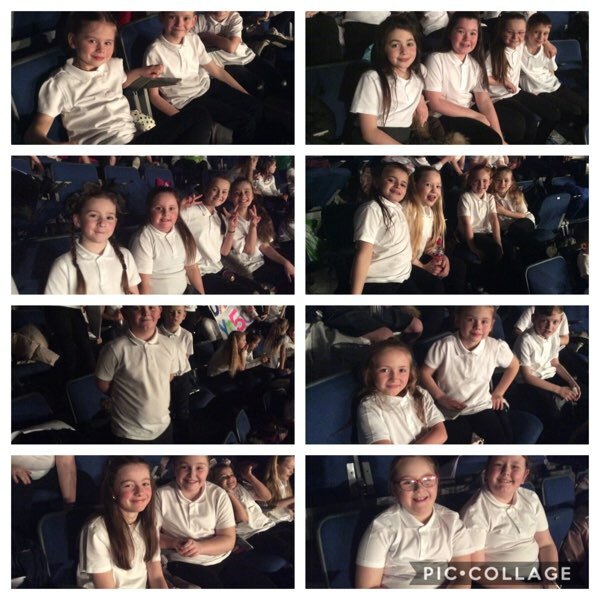 Had such a wonderful weekend,taking a group of our children to The Liverpool Peace Proms at The M and S Arena. Together we helped to spread the message of peace; it was such an important, inspirational event, that we were honoured to be part of. Thanks to the children and their families and especially to Mrs Lewis, Mrs Walton and Miss Williams for making it happen. During our whole school collective worship, we reminded ourselves of our school mission. We also spoke about the beatitudes, and remembered how blessed we are. We thought about the one thing that we are most thankful for in our lives. ‘ The gift of our Lord’. As we work through our final week, we would like to take this opportunity to wish all of our families and friends at St Columba a very merry Christmas and a happy, healthy and prosperous new year. We will be celebrating this period during our Carol Service on Wednesday 19th December at 2pm, in St Columba Church- all are very welcome to join us. There will be readings, singing and dancing, while once again our children demonstrate their many talents and achievements. The children were so excited to light the third candle of Advent; the candle of joy! The Infant children have certainly spread joy throughout the school with their outstanding nativity play, A Miracle in Town. We were so incredibly proud of the confidence that glowed through all of the children; it was a joy to see the pride and delight on the faces of the parents, and staff. Christmas dinner…. look who served us. Thank you so much to all the kitchen staff for the beautiful Christmas dinner, we all thoroughly enjoyed it. Today we have lit the second candle of Advent; the candle of peace. We spoke in assembly about how we could spread peace in our school and our families. ‘ Pray for Peace’, ‘ ‘ Try to spread the spirit of Christmas’, ‘ Be kind to others’ and ‘ Use their manners’. However, I am not entirely sure how peaceful this week will be!!! On Thursday the Infants will be performing their Christmas nativity play and on Friday it is party time!! !